This wooden key hanger is shaped like a matki & offers three hanging provision for your house, car & other keys. The minute Kundan work on the wood speaks out in favor of exceptional skill of the artists of Jaipur. 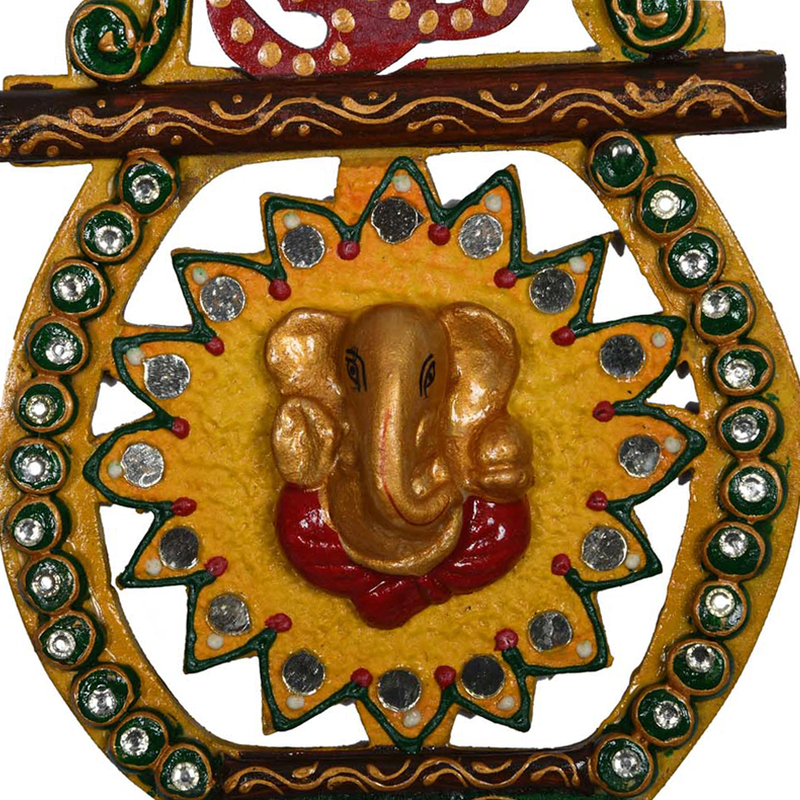 Yet another reflection of fine craftsmanship by skillful artisans of Rajasthan, this Matki shape key holder decorated with famous Rajasthani Kundan work will definitely blow Read More..your mind at first visual. 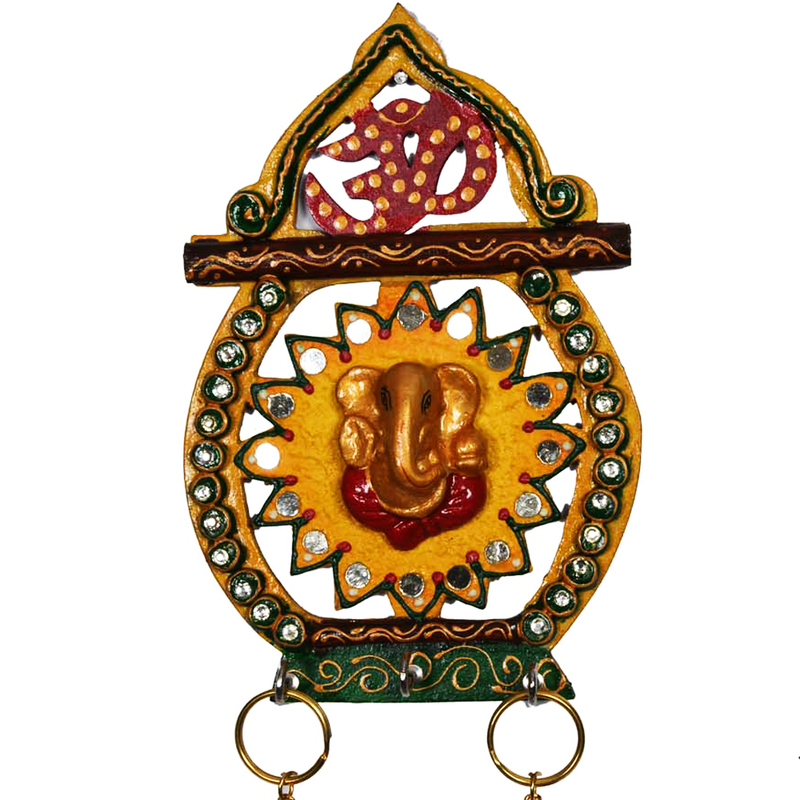 The vibrant color combination with ecstatic decoration simply raised the beauty of this Key hanger. 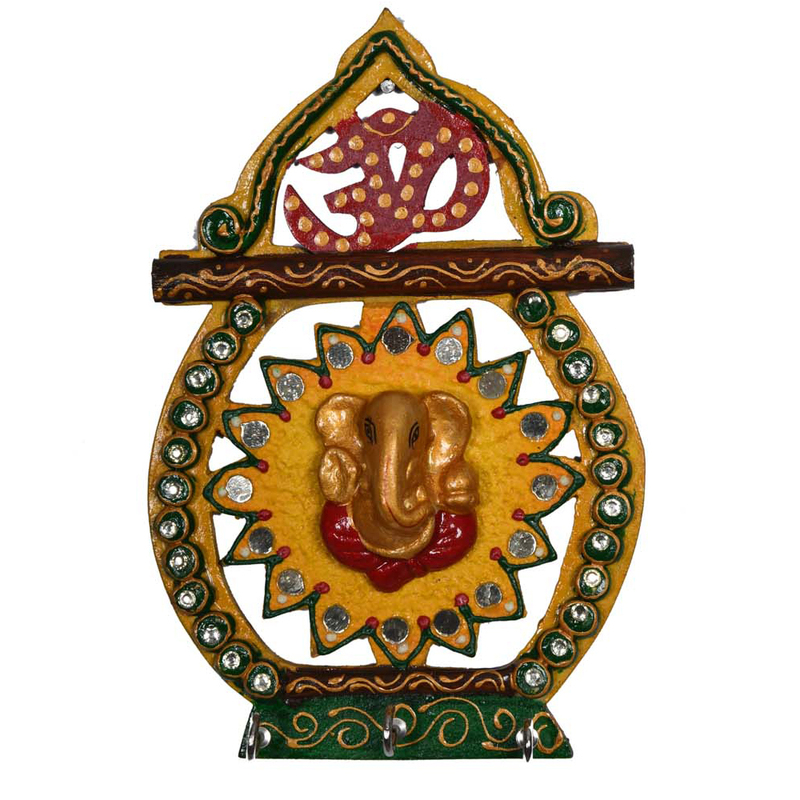 This key holder is made of Wood & having paper mache work on it. It has three key holding provisions. This contemporary key holder serves as a great gift options especially for house warming ceremonies, religious festivals & other family functions. Show Less..